Human Rights Activist News Agency (HRANA) – Thirty days have passed since security forces first swept through Karaj and began arresting its Baha’i residents, sending eight of them to prison after inspections of their homes between September 16th and October 17th. From the walls of Evin Prison, these eight await definitive answers to why, and for how long, they will have to stay there. They were previously identified as Parvan Manavi, Elham Salmanzadeh, Hooman Khoshnam, Payam Shabani, Peyman Manavi, Maryam Ghaffarmanesh, Jamileh Pakrou (Mohammad Hossein) and Kianoush Salmanzadeh. Parvan Manavi and Elham Salmanzadeh became the seventh and eighth Baha’is to be arrested in Karaj after authorities confiscated some of their books and personal belongings during a raid of their homes Tuesday, October 16th. Khoshnam and Shabani were arrested on September 25th and 26th of this year, and Peyman Manavi, Kianoush Salmanzadeh, Ghafarmanesh, and Pakrou were arrested September 16th. The threat of arbitrary detainment loomed larger than ever over Iran’s Baha’i religious minority this past month, as Iran’s security and judiciary establishment whisked away a number of its members in a surge of arrests that has yet to be explained. HRANA also reported on the arrests of Baha’i citizens in the central cities of Shiraz and Isfahan over this time period. Human Rights Activists News Agency (HRANA) – In continued efforts to marginalize the Iranian Baha’i community, Yazd security officials put pressure on the administrator of a Samsung subsidiary to fire marketing representative Sahar Rouhani on the grounds of her faith. An informed source told HRANA that Rouhani was already being commended by Samsung executives as one of the best employees in the company after working there for little more than a year. In August of this year, HRANA reported on the sudden and permanent dismissal of Baha’i Shiraz residents Sabah Haghbin, Samira Behinayeen, and Payam Goshtasbi from their private companies. Their company’s executives, like those at Samsung, had been harried by security agents to fire them. Ever since the Iranian Revolution of 1979, when Baha’is were fired from public-sector positions en masse in a process known as Paksazi (cleansing), state authorities have consistently quashed the efforts of Baha’i citizens to improve their social status, shuttering their bodegas, confiscating their property, blackballing them from schools, and pulling strings to terminate their employment. UN Human Rights Rapporteurs have repeatedly objected to Iran’s history of repressing Baha’is, citing it as a token example of the regime’s neglect of human rights treaties. 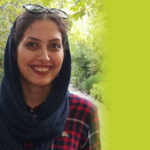 Human Rights Activists News Agency (HRANA) – Baha’i Shiraz resident Niloofar Hakimi was arrested by Shiraz Intelligence agents October 6th and transferred to a local detention center, continuing a recent wave of arrests of Baha’i locals, according to an informed source. HRANA reported on the arrest of five other Baha’i Shirazis on September 15th and 16th: Noora Pourmoradian, Elaheh Samizadeh, Ehsan Mahbub-Rahvafa, and married couple Navid Bazmandegan and Bahareh Ghaderi. Bazmandegan was arrested 6 p.m. on September 15th while teaching a psychology class, a source told HRANA. 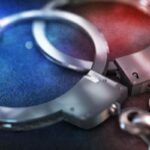 Authorities reportedly confiscated the identification cards, flash drives, email addresses, mobile devices, and mobile device passwords of all those present. Bazmandegan was subsequently escorted to his home, where authorities conducted a search and seized his personal belongings. His wife Bahareh Ghaderi was also arrested and transferred to an undisclosed location. Samizadeh was arrested the same day in Shiraz, and Mahbub-Rahvafa was arrested September 16th in his home. 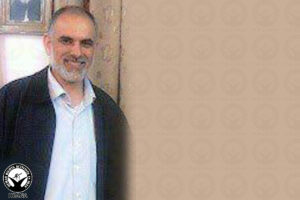 After searching Mahbub-Rahvafa’s house, authorities transferred him to Shiraz Intelligence Office Detention Center No. 100. Baha’is in Iran do not have freedom of religion. This systematic repression is in violation of Article 18 of the International Declaration of Human Rights as well as Article 18 of the International Covenant for Civil and Political Rights. These documents assert the rights of every individual to freedom of religion, religious conversion, and expression of their religious belief as individuals or groups, publicly or privately. Unofficial reports indicate that there are over three hundred thousand Baha’is living in Iran. Meanwhile, the Iranian constitution only recognizes Islam, Christianity, Judaism, and Zoroastrianism as permissible religions, effectively rendering the Baha’i faith illegal. This loophole allows the Iranian government to systematically violate the rights of Baha’is with impunity. 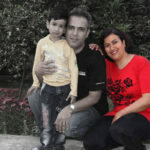 Human Rights Activist News Agency (HRANA) – Crackdowns on Iran’s Baha’i community continued this week with the arrest of three residents of the northwestern Tehran suburb of Karaj, who were transferred to Evin Prison on Sunday, September 16th and are now being held on approximately $23,000 USD (3 billion IRR) bail. Maryam Ghaffarmanesh, Jamileh Pakrou, and Kianoush Salmanzadeh–participants in an environmental education session led by Ghaffarmanesh and hosted in the private residence of Ramin Sedighi–were arrested when intelligence agents showed up demanding their cell phones and pressing them to fill out personal information forms. After confiscating Sedighi’s hard drive, pamphlets, and religious materials, the agents moved on to search Pakrou’s residence, a close source told HRANA. Ghaffarmanesh, Pakrou, and Salmanzadeh were transferred to Evin Prison. Ghaffarmanesh’s family learned of her bail some 20 hours later, on a call with her from ward 209 of the prison. 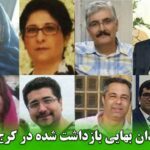 The same day, HRANA reported that intelligence ministry agents had arrested and searched the homes of six Baha’i residents of the central Iranian city of Shiraz: Soudabeh Haghighat, Noora Pourmoradian, Elaheh Samizadeh, Ehsan Mahboob Rahvafa, and a married couple, Navid Bazmandegan and Bahareh Ghaderi. Shiraz had already seen a string of Baha’i arrests one month earlier that landed a number of its residents in an intelligence ministry detention center. On the morning of September 19th, Baha’i Yazd resident Mehran Bandi Amirabadi was released after being held in custody for 43 days without a warrant. After being tried with six other Baha’i citizens in Branch 3 of Yazd Appeals Court, located in central Iran, Amirabadi was sentenced to one and a half years in prison and one year in exile to be served in Divandareh, a remote city in Iranian Kurdistan. Iranian Baha’i citizens are systematically deprived of religious freedoms, in contravention of international treaties including the Universal Declaration of Human Rights and the International Covenant on Civil and Political Rights.